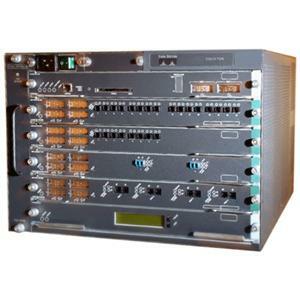 The Cisco 7600 router is one of the most versatile High End routing machines. It is one of enterprise’s networking devices. If you take a look at Cisco website under the Routers Product Category, you will notice that the Cisco 7600 can be used in Data Centers, in Service Provider networks, in WAN aggregation or as Internet Edge router. In Service Providers can be used as Provider Edge (PE) in IP MPLS networks aggregating many Customer Edge (CE) router devices. Its modularity and high port capacity allows the Cisco 7600 internet routers to work as both Layer2 aggregation and as Layer3 high performance router. In Service Provider networks one of the main concerns of network administrators is to protect the networking infrastructure from Denial of Service attacks. These DoS attacks are actually the most serious and popular security threat against Service Providers. Botnets are frequently the main source of such attacks. ICMP flooding, UDP flooding, spoofed addresses DoS, SYN attacks etc are a few examples of DoS or DDos (Distributed Denial of Service) attacks. 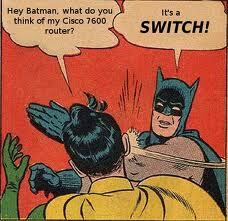 Fortunately the Cisco 7600 router has many robust features and mechanisms to protect itself from such attacks. Security Access Control Lists (ACL): Applied on interfaces to block traffic at Layer3/4 layers. uRPF (unicast Reverse Path Forwarding): protects against spoofing attacks. Traffic Storm Control: Protects against broadcast storm attacks. TCP Intercept: Protects against SYN attacks. Control Plane Policing (CoPP): Again used for protection of the MSFC routing engine by applying rate limiting to packets that flow from the data plane to the control plane. Of course in addition to the above you must not forget other important security mechanisms such as strong password policy, proper Authentication and Accounting, logging, SNMP security, Routing Protocols security (MD5 authentication in OSPF, BGP etc) etc. All of these technical issues must be based on a thorough and carefully written security policy.